Number 12. We present the Lawgiverz. Oh yes. In a change to our previously advertised showcase from CONFOUNDED we are over the moon to present an exclusive (as always) mix from the breakbeat pioneers that are the Lawgiverz. With music by Tipper, Timo Mass, Radial, Byetone, Bassbin Twins, Ohmwerk, Autechre and more. If you like electro breaks, or the breakbeat sound before it all went plod and house then you should be aware of the immense combined talents of R Kidz and Noize, aka the Lawgiverz. 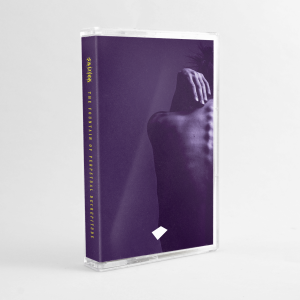 Holographic bassforms, twisted electronics and heavy glitched bass. Not many mixes exist of this duo, but they have pulled out all the stops with a superb showcase. Residents at the Trigger nights in Birmingham and guaranteed to slaughter any dancefloor. This duo are unique in their approach to sound design and truly understand their sound and it’s delivery to audiences around the world. 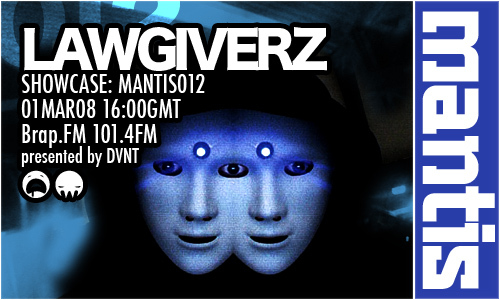 With a showcase of upcoming releases and recent remixes it is with the biggest smile on my face that this broadcast’s showcase is the Lawgiverz.